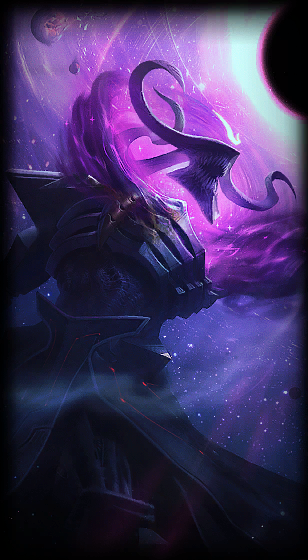 Wonder how to get the Dark Star Thresh Leauge of Legend skin? It is currently in the ingame store, you can hop right in there and buy it right now for Riot Points, the price is showcased in the skin review to the right! Due to the fact that this skin is neither rare or hard to get, we have focused not to write so much about it. Everyone can get it right now if you have the money for it! Dark Star Thresh skin rewiew and information. Model All new model and textures! Textures change when you successfully hook a target! Particles All new particles! (Dark matter, Black holes, Cosmic energy!) Lantern evolves after you gather 100 souls! Sounds All new VO with new processing! All new SFX!